Bollywood industry has seen some great friendships, but when it comes to rivalry and enmity, these celebs don't forget so easily. Tinseltown celebs have their fall-outs and tussles all the time, considering their work has such high stakes and competition. Sometimes, they make remarks that go unnoticed and sometimes, these stir unexpected controversies. Some tiffs are just verbal but some turn ugly with celebs fighting in public. A lot of celebrity fights go unresolved and eventually years of friendships turn sour in no time. The weirdest part of this is that celebs hold on to grudges and don't let go. They leave no platform to take a dig at their rival. Sooner or later, this ends up dividing the entire industry into camps. 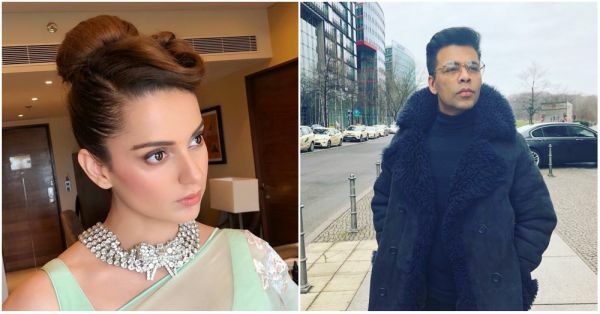 Here are some of the worst spats in the Bollywood industry that started off with discomfort between two celebs and later spread like wildfire and became headlines. 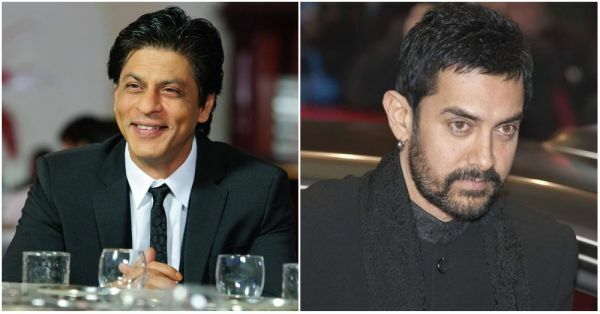 Shah Rukh Khan and Aamir Khan have been competitive since the beginning of their careers. The two never really got along. There's no particular reason or incident because of which they don't get along only that they're in the race to become the number one star in the industry. The feud between has continued, thanks to their habit of taking pot-shots at each other at any given opportunity. In an infamous blog a decade ago, Aamir wrote, "Shah Rukh is licking my feet and I'm feeding him biscuits." He later clarified that his dog's name is Shah Rukh. Our King Khan also took a jab at Mr Perfectionist when his movie PK's poster released. So, the rift between the two celebs continues till date as they seem to not bury the hatchet. The fracas between alleged former flames Hrithik Roshan and Kangana Ranaut was one of the most controversial spats of 2017. We all know how Kangana is outspoken, which has made her controversy’s favourite child. The battle of the exes started with Kangana addressing Hrithik as her 'silly ex'. But the statement gained momentum when Hrithik took major offence and sent Kangana a legal notice demanding an apology. This feud took the cyberspace by a storm when Kangana reverted to the notice with a firm reply. 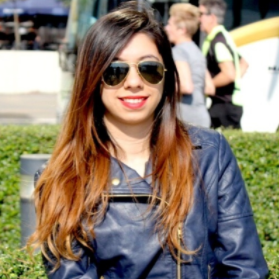 She has accused Hrithik of being a coward and a liar on national television. Developments in their tussle became everyday gossip and a topic of discussion on every news channel. 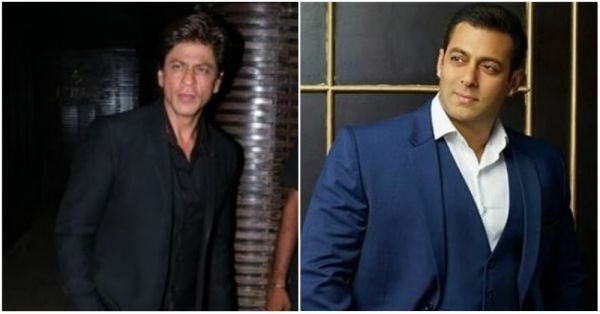 Now the closest of friends, Salman and Shah Rukh have had an ugly past and one of the most controversial celebrity fights. Their scuffle is one of the oldest ones in the industry. It all started at Salman’s ex-girlfriend Katrina Kaif’s birthday party. A slightly drunk SRK made a snide remark about Salman’s ex-girlfriend Aishwarya Rai Bachchan which angered Salman to a great extent. The two actors had a heated verbal argument at the party and eventually grew bitter towards each other, refusing to talk it out. But the two have sorted out their differences now and we see them play cameos in each other's films. Kangana Ranaut is known to speak her mind and there are times she has no filter. She stirred a huge controversy when she called Karan Johar "a flag bearer of nepotism" on his popular chat show Koffee With Karan. She also said that if at all she writes her autobiography, Karan would play the villain in it. Sure nepotism has existed in the industry since time immemorial but it only became a huge debate after Kangana's statement. But we all know Karan, don't we? He always has a comeback. When he was hosting an award show with Saif Ali Khan, they spoke about nepotism and chanted, "Nepotism rocks!" The joke proceeded with them breaking into "Bole Churiyan, Bole Kangana" to which Karan said, "Kangana na hi bole toh accha hai." Kareena Kapoor Khan is smart, sarcastic and has always got her way. She's made remarks on many actresses in the industry and has also judged them for their dressing style and fashion sense. But one time Kareena went a little overboard when she reportedly called Bipasha Basu a 'kali billi' on the sets of Ajnabee where the two ladies acted together for the first and the last time. But Kareena didn't stop at that. She called Bipasha's then-boyfriend 'expressionless' which definitely angered Bipasha. The two have never been friends and for obvious reasons. 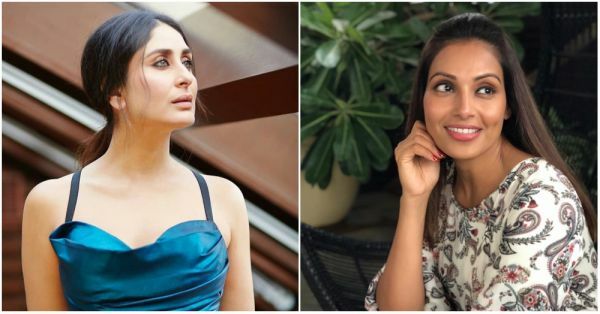 In an interview with a magazine on being asked about will she work with Kareena again, Bipasha said, "No, I will not work with Kareena again, because you either get along with people or you don’t." On being asked what Kareena feels about this statement made by the former, Bebo said, "She just doesn’t seem to have any confidence in her own talent. In a four-page interview, she spoke about me for three pages." This is one of the few celebrity fights that may never get resolved. Salman Khan is one of the most influential actors in Bollywood. He has garnered love and admiration from not just his fans but also from his co-stars. Given his success, he does have a control over a lot in the industry. We all know about his spat with Vivek Oberoi that almost killed Vivek's career. Both the actors dated Aishwarya Rai Bachchan. Their tiff that started off as a cold war and went on to becoming something more serious over the years. 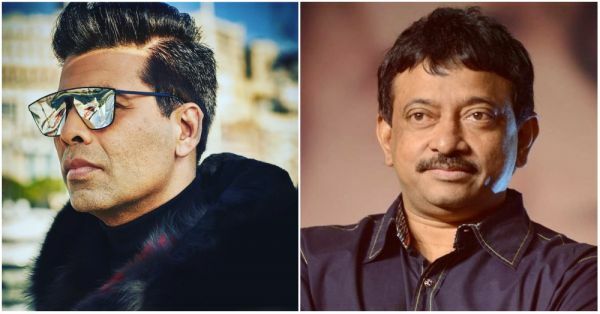 In 2003, Vivek called a press conference to express his discomfort when he received 41 calls from a drunk Salman abusing him and threatening to kill him over his closeness with Aishwarya. Known to be stubborn and dominating, Salman didn't take this move of Vivek too well. Vivek lost his ladylove and his career over this spat. 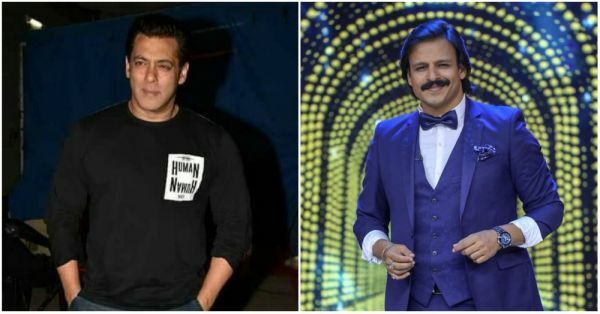 Vivek has gone on record, given interviews and apologised to Salman and his family. However, Bhai doesn't seem to be very forgiving. Vivek, who was once the chocolate boy of Bollywood, was even dropped by his friends in the industry, including Salman's friends. Farah Khan and Shah Rukh Khan have always been great friends. In an interview with Anupama Chopra, after the release of Om Shanti Om, Farah said, "Shah Rukh told me that if at all he goes shirtless onscreen ever, he'll do it for me." And we all loved his washboard abs in Dard-e-Disco, didn't we? Can you imagine something that could cause a rift in this perfect friendship? Well, someone certainly did. 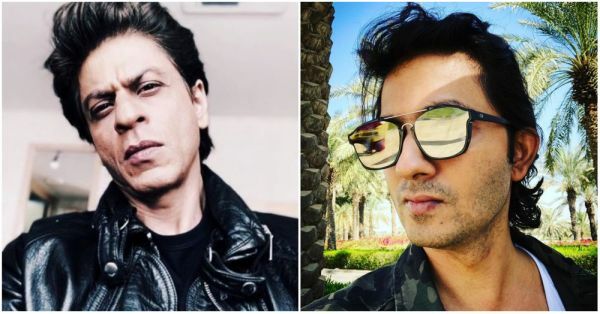 SRK reportedly punched and slapped Farah Khan’s husband Shirish Kunder at a private party after he made uncourteous remarks on Shah Rukh’s Ra.One calling it a 'Rs 150-crore firework frizzle.' Ra.One was very close to SRK's heart because he worked on the project for six years. The otherwise very chilled out Badshah couldn't take a joke on the movie and turned violent. It nearly cost him his friendship with Farah, but the two patched up and Farah even did a movie with him right after it. In an interview for Happy New Year, Farah admitted, "I think we don't take each other for granted any more. When you lose a friendship like that, you realise the worth of it." Salman Khan and director Sanjay Leela Bhansali have been great friends, but their relationship went sour when SLB decided to cast SRK for Devdas instead of Salman. In an interview with a leading daily, Bhansali said, "Maybe I could not make a film with him. If I felt or I am wanting to make a certain kind of cinema and I feel he is not right for the film, I can't cast him. I understand he will be upset about that because he expects that out of me. He expects a certain kind of love and loyalty. But sometimes, it's important to do the film that you want to. However ruthless I may sound, but as a filmmaker, I live the film that I'm making. I am not disregarding him as an actor." Holding grudges against SLB, Salman took out his anger on Hrithik, who starred in SLB's Guzaarish also starring Aishwarya Rai Bachchan. Salman made a terribly mean remark saying, "Kutta bhi nahi gaya uss picture ko dekhne!" 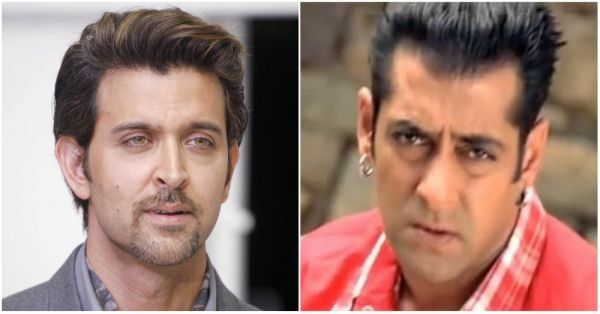 This offended Hrithik, who slammed Salman by saying that he shouldn’t make fun of a filmmaker just because his box-office collections are not as good as his. The two actors haven't been on talking terms ever since. Looks like Hrithik became a collateral damage between Salman's battle with Bhansali. Ram Gopal Varma is known for his random and baseless tweets on Twitter. He makes comments on other actors and their work and sometimes, ends up fighting with people too. One director that he's always disliked for is Karan Johar and well, the feeling is mutual. Their war of words on Twitter began with RGV provoking Johar by expressing his desire to remake Mani Ratnam’s Raavan as My Name Is Raavan. This was an indirect dig at Karan’s My Name Is Khan to which he replied by tweeting, “You have an amazing sense of humour Ramu! Never shows up in your films though.” Karan has expressed how much he loathes RGV on numerous occasions. And looks like the two don't feel the need to patch up. You can never win a battle with Salman Khan. You not only lose the battle but also a lot more in that process. And Arijit Singh fell prey to Salman's power and foothold in the industry. 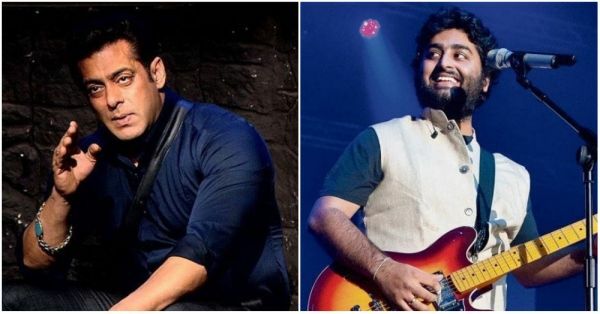 Arijit went public when he took to Facebook to express his agony over his version of his song Jag Ghoomeya being dropped and replaced by Rahat Fateh Ali Khan’s version in Salman starrer Sultan. According to him, Salman had scrapped his version because of an incident that happened at an awards' night in 2014 when Arijit went up to receive an award from Salman Khan and Riteish Deshmukh. He told the duo, "Aap logon ne toh sula diya." To that, Salman replied, "Aur isme humara koi dosh nahi hai, agar aise gaane bajte rahenge...Tum Hi Ho... Tum Hi Ho." Even though Salman gave it back to Arijit then and there, he still held grudges against him. Typical of Salman, no?